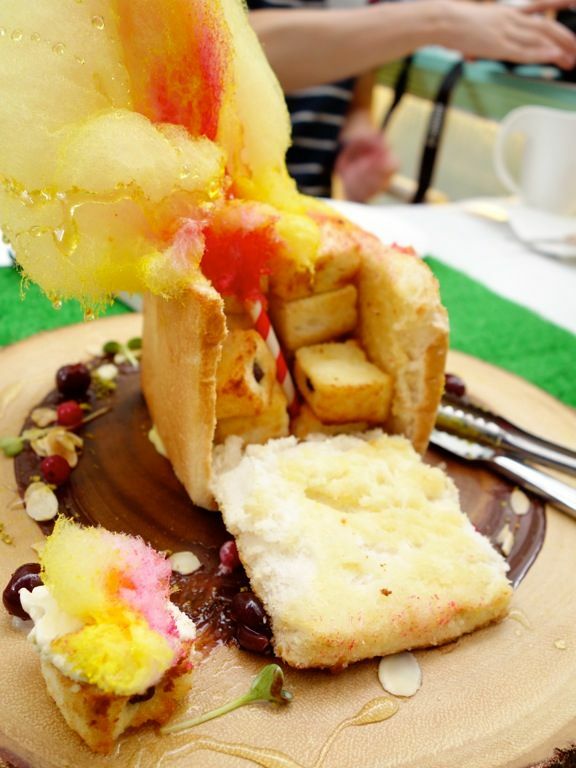 Dazzling Cafe's natural association with desserts (think thick towering honey toast) is hard to shake off given the insane dessert queue that formed when they first opened. BUT this Taiwan branded cafe is more than just the sweets now that Chef Cliff Tan has taken over the kitchen at the Capitol Piazza outlet! I discounted Dazzling before, but with their new western fusion menu, you can consider me dazzled. The new plates at the flagship store use only quality ingredients (carefully sourced and imported, or made from scratch) but are extremely affordably priced (think regular cafe prices). 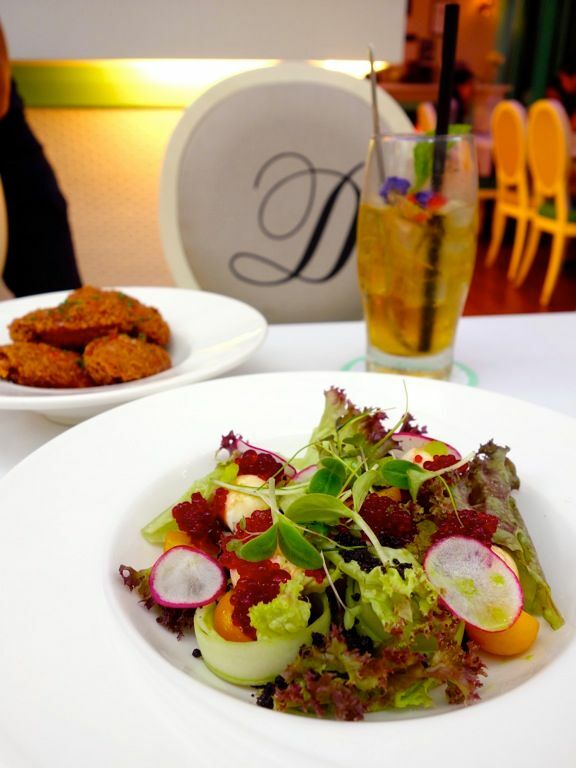 A light start to the meal is the Mozzarella & Cucumber Granita Salad ($10). Cool and crunchy it was, with cucumber swirls, cucumber sorbet, loose leaves, beetroot jelly, olive crumble, and balsamic reduction. 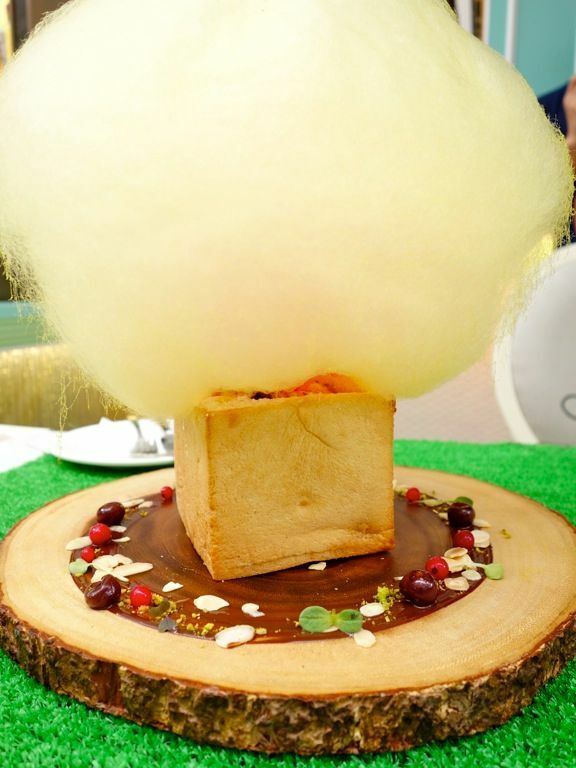 We could certainly see Chef's past experience in the fine dining scene coming through in his pretty plates. What I'd recommend though is the Shrimp Paste Winglets ($11) which is even better than the Har Cheong Gai sold at many zi char stores! Love that pungent and savory fermented prawn paste in that marinate and the CRUNCHY skin and juicy meat. That lemongrass sweet chili sauce was the icing on the cake. LOVE! 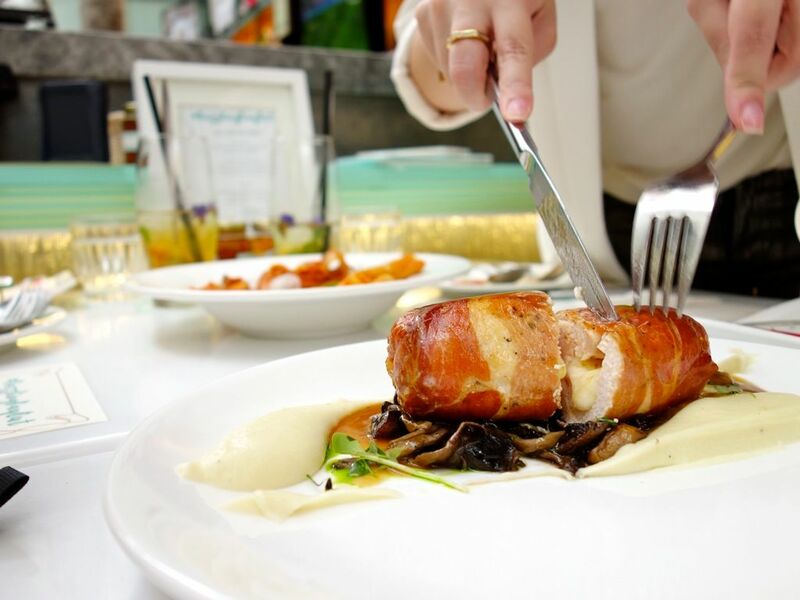 We see strong French and Italian cooking in the mains but with well integrated Asian flavors. 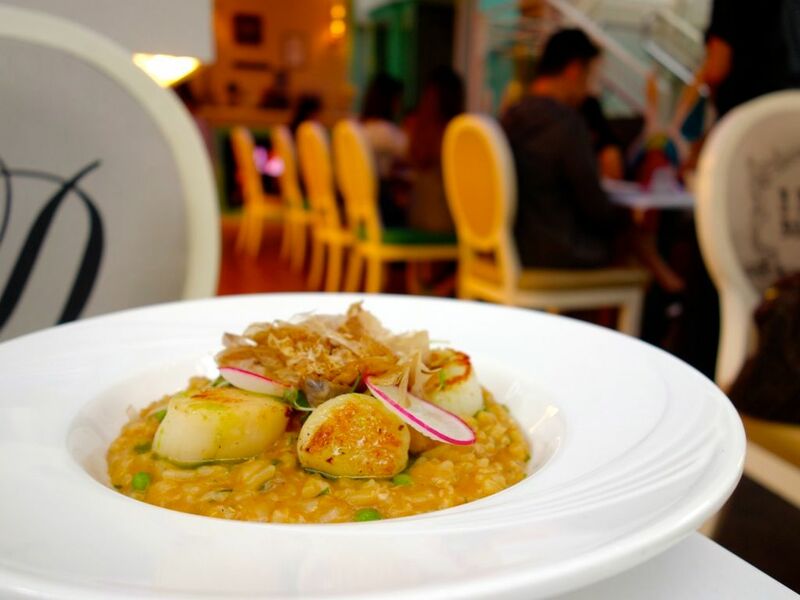 While the Scallop risotto in prawn miso broth ($24) may be more than al dente (towards the more mushy end of the spectrum), but that rich crustacean broth and perfectly seared fatty pieces of scallop more than compensated for it. 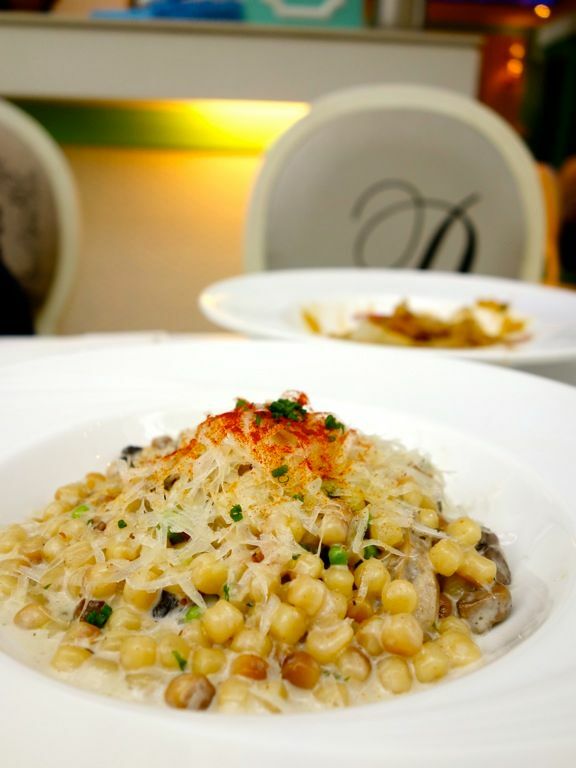 If you want a creamy based pasta, the Fregola Sarde Grande Pasta ($25) is yums. This is a seldom seen type of pasta which is imported from Italy (of course) and provided a chewy and interested texture to the dish, plus it' so easy to pick up and send into your watering mouth. Simply scoop up some of that pasta with the garlic white wine cream sauce, Parmesan, and that earthy flavorful mushrooms. It may be a vegetarian dish, but it was certainly not lacking in the flavor department. We did not even miss the meat in this one! Like spice? Then the Spicy Thai Tom Yum Seafood Rigatoni ($21) is a must. 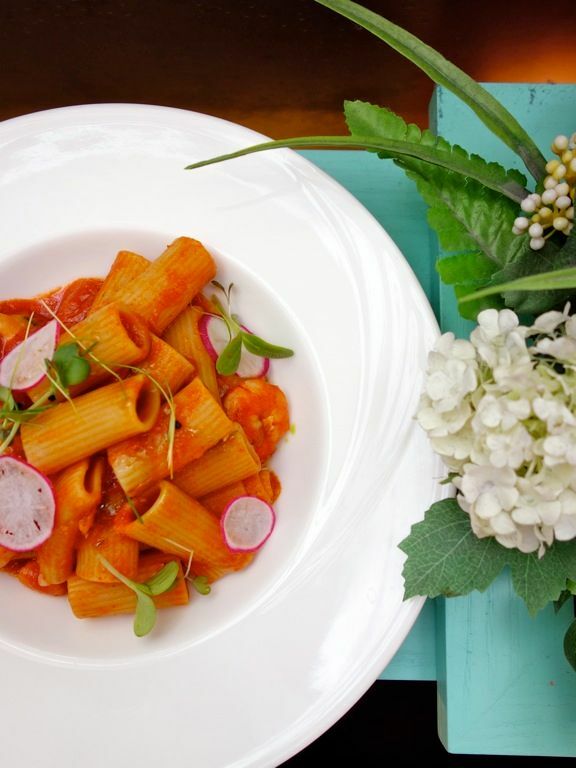 The tubular Rigatoni picks up the fiery sauce so well! The sauce is made from scratch btw and I think Chef can open a Thai restaurant if he wants! Very very addictive I say! Boys, if you're worried that cafe food ain't gonna fill you, well, the portions are quite big imo. Also, you can protein load with the hearty meaty meals. Chicken Cordon Bleu ($23) has this tendency to be dry because the traditional recipe calls for breast meat. 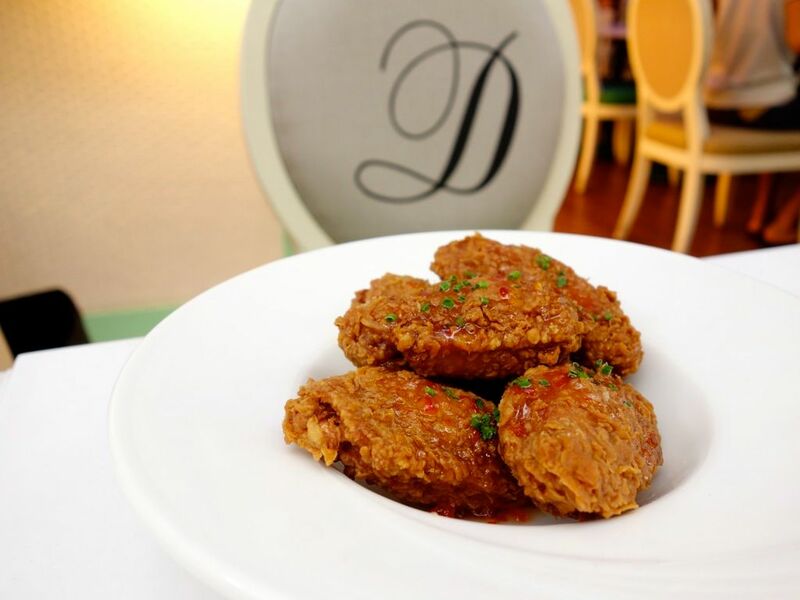 However, there were no issues with this particular rendition due to the use of the French yellow Poulet chicken, and it certainly helped that the meat wasn't deep fried. 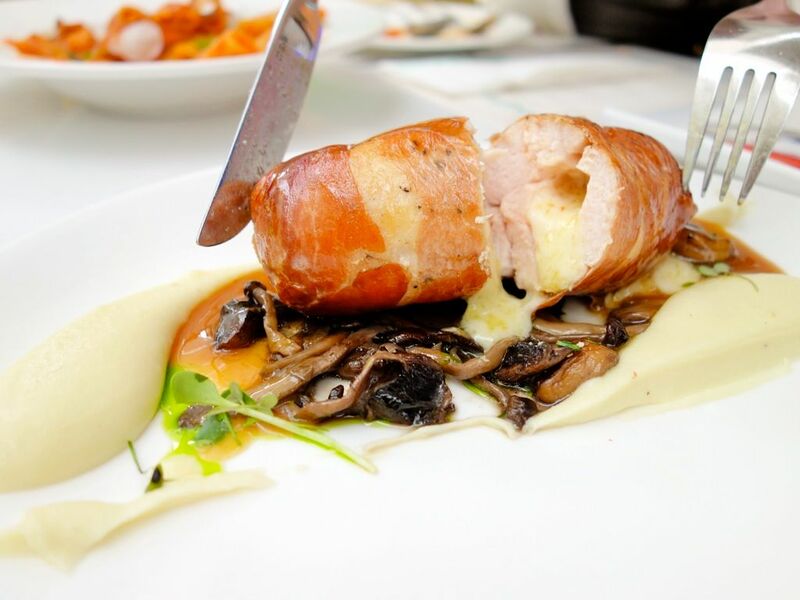 Expect the cheesy Gruyere flow when you cut into the Parma ham wrapped meat. 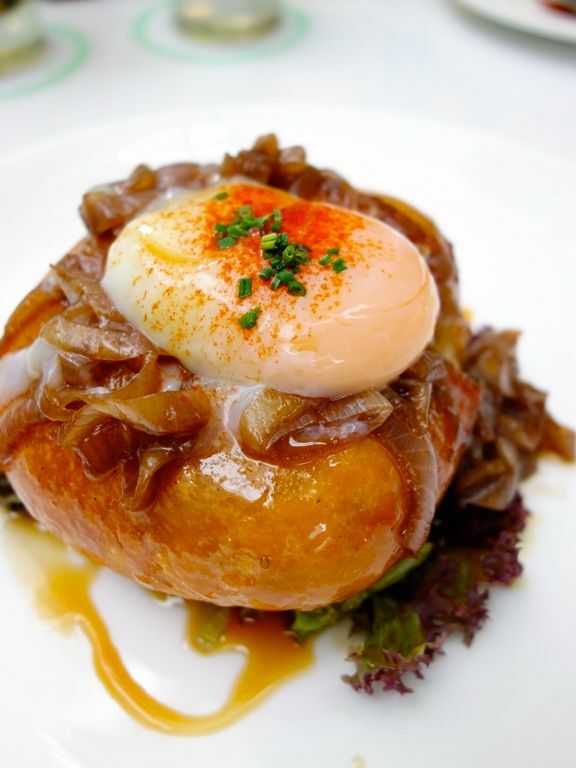 The Dazzling Potato Doughnut with Bratwurst filling ($21) looked better than it tasted. #eggporn BUT the dense and slightly undercooked dough, plus oily taste isn't quite worth the calories. The Pork bratwurst was also on the dry side and the sauce was kinda sweet. Meh. 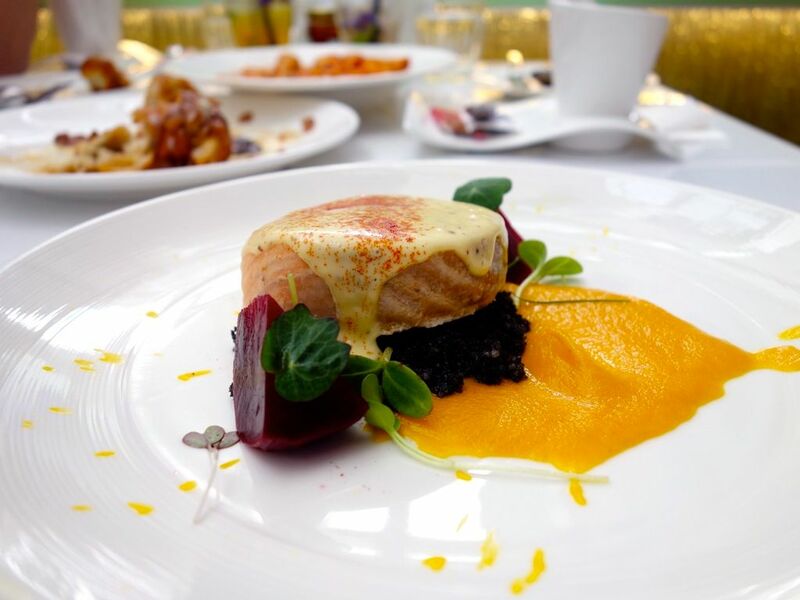 Another dish that showcased Chef's fine dining background is the Butter Poached Salmon ($23)., in terms of the plating that is. I thought the meat was a tad overcooked and thus more flaky.. The squid ink cous cous is made to look like caviar, and this was accompanied by a naturally sweet carrot purée and mustard Beurre Blanc. 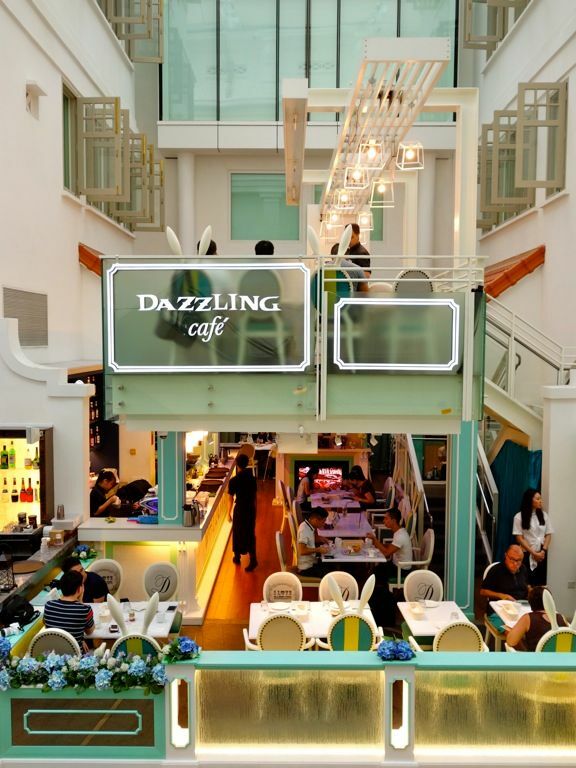 Dazzling Cafe is not a bad spot to chill over drinks and sweets as well. 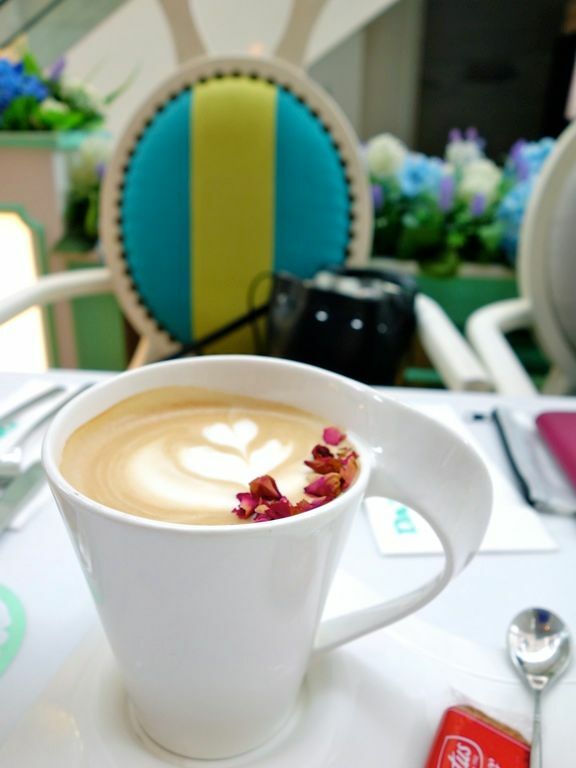 Their Forget Me Not iced tea is a refreshing light floral sakura green tea sweetened with brown sugar. For something sweeter, the Rose latte with baileys and espresso is quite wicked. 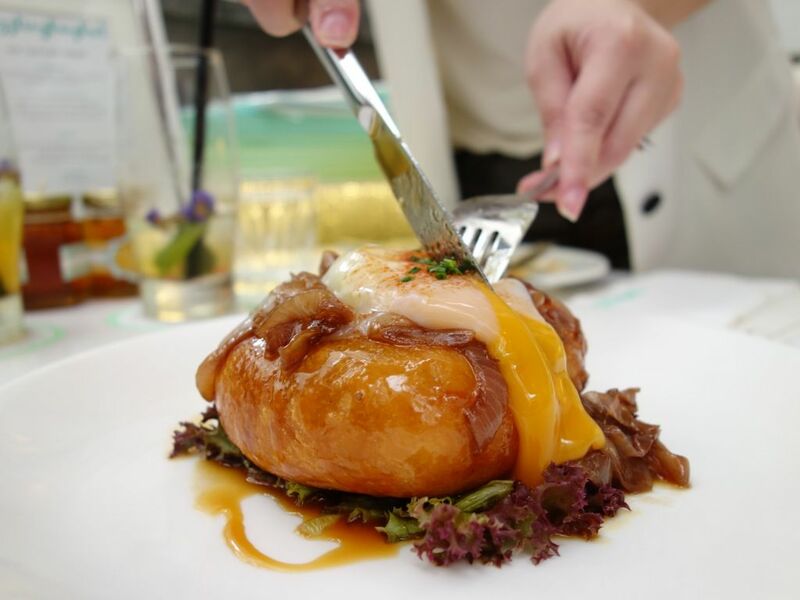 But of course, the famous Honey Toasts, which are priced from $17 onwards. Honestly, toast shouldn't be this expensive even if it's tasty or pretty but yea it's quite enjoyable with the filled chocolate center. Regardless, I'm dazzled now. Go check Dazzling Cafe out for yourself!